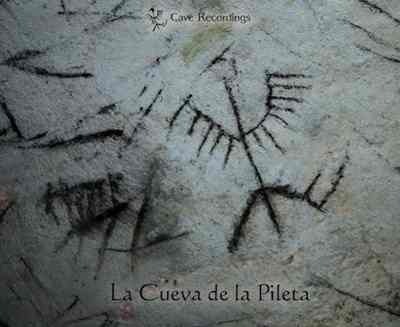 Visitors to the Cueva de la Pileta are deeply moved by the cave. They are touched by the timeless quality of the prehistoric paintings and the living presence of memories long forgotten. Honoring these memories, the Bouillon family has been taking care of this cave over four generations with a great sense of responsibility for the integrity of the site. We came to the cave with the intention to lend our voice and the sound of our instruments to this living presence. Searching for resonance within the physical space of the cave, we connected to the energy of our ancestors from the Paleolithic and Neolithic times. We entered the cave with an open and receptive heart to listen. From this place of deep listening we were able to respond through the sound that emerged, forming a relationship between our own inner being and the hidden qualities of the cave. The wisdom of the feminine, visible through numerous paintings and fertility symbols, came to life as a soft yet potent force. We felt embraced and challenged in this beautiful womb created by nature. Feel invited to join us on this journey into the depths of the inner earth, where the nourishing qualities of stillness and the intimacy created by the darkness of the cave are a call to remember and honor our connection with the divine. The frequencies of track I and II on CD 1 are based on the calculations by Hans Cousto. Through the application of the law of the octave, Cousto was able to calculate the sound frequencies of the duration of the different planetary movements. In track I we use 68.05 Hz and 136.10 Hz as base frequencies, the 31st and 32nd octave of the orbit of Earth, the tropic year.